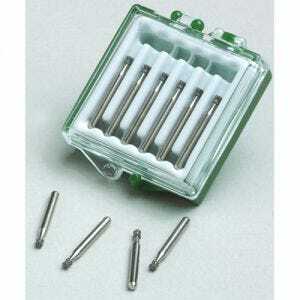 Dental diamond burs are made of high-quality stainless steel and come in sets which include different head sizes, shapes, and grits for various applications like polishing or cutting. The more coarse the grit the more likely it will be used in a cutting application and the finer the grit the more likely it will be used in a polishing application. Diamond burs offer a more precise cut and a better polish than other kinds of burs. 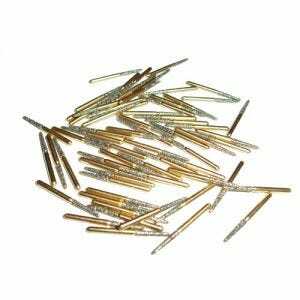 Scott's Dental Supply stocks a wide selection of burs from MaXcut and more. Buy 10 Get 3 FREE! OR Buy 20 Get 8 FREE!